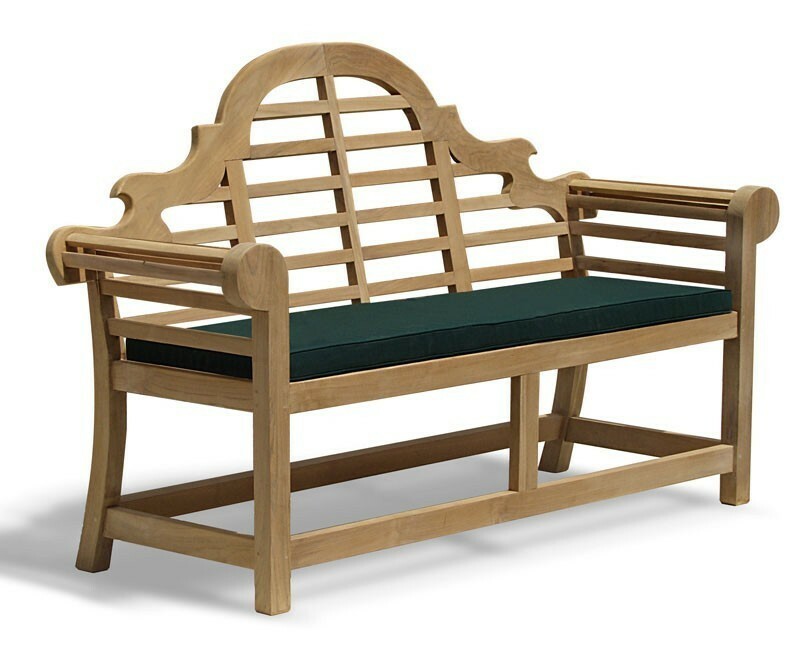 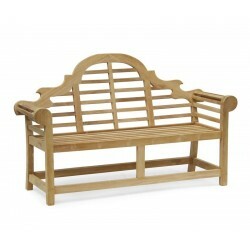 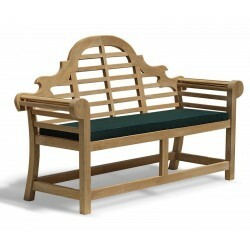 This Lutyens bench, armchairs and side tables set would make an elegant focal point for foyers, patios and formal gardens. 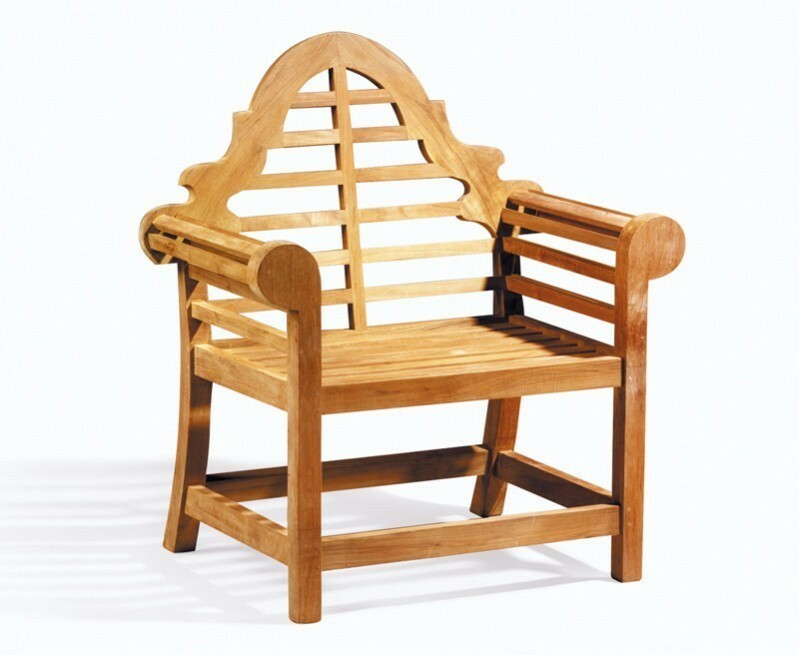 Based on one of the enduring creations of the pre-eminent architect Sir Edwin Lutyens, this design was a favourite in the Arts and Crafts era and continues to be admired today. 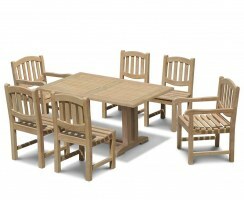 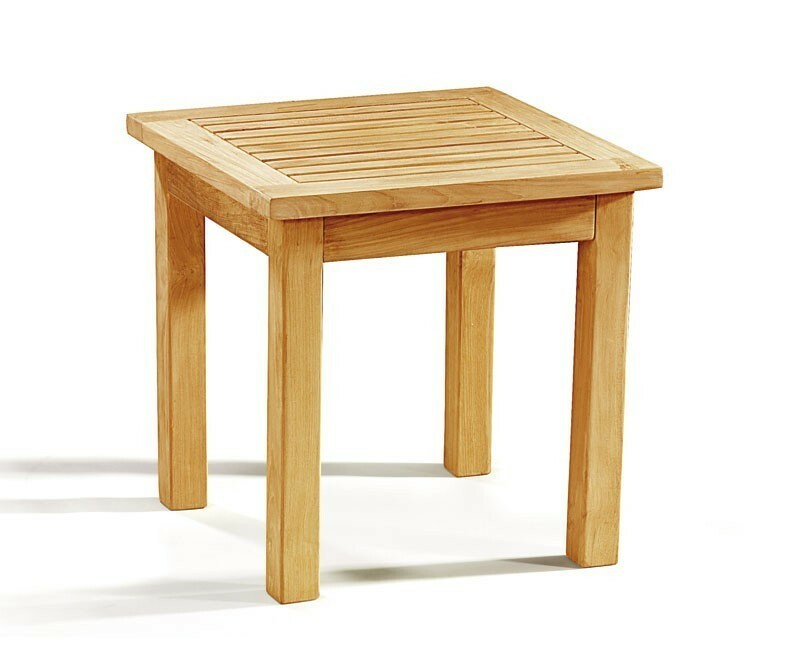 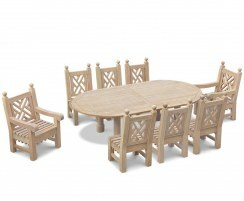 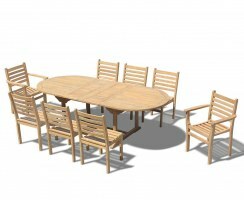 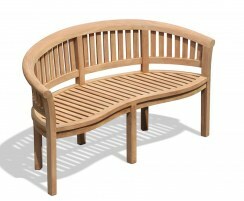 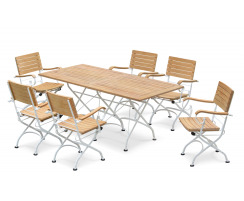 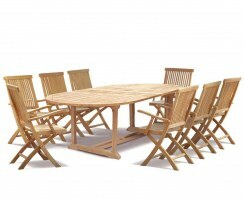 Perfect for both home and public use, this low-maintenance garden conversation set is beautifully crafted from the finest quality grade-A teak. 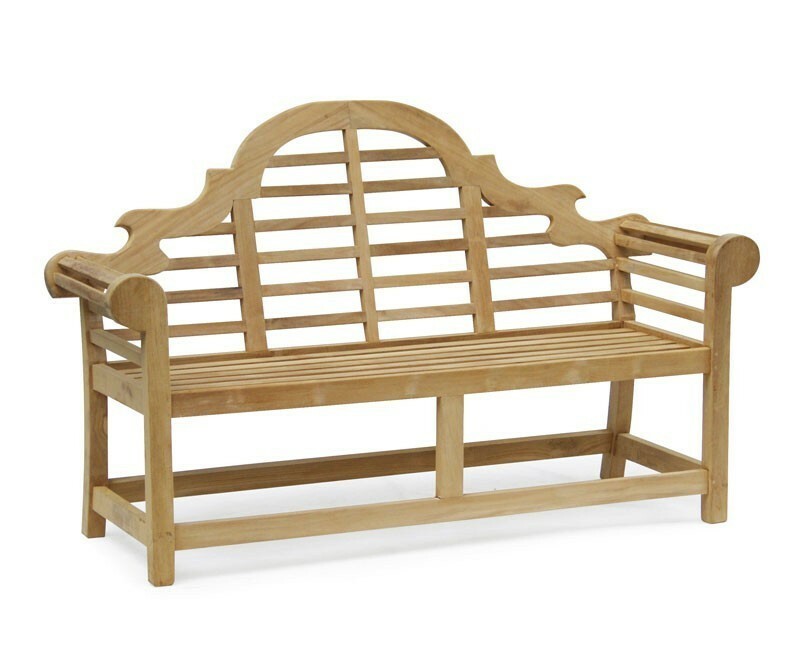 It can remain outdoors all year round, even in severe weather conditions, and if left untreated, it will age gracefully, turning from its warm, golden colour to a stunning silvery grey, adding to its elegance. 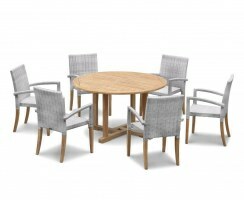 The opulent, curved backrests and scrolling arms are instantly recognisable and invoke a feeling of presence and refinement. 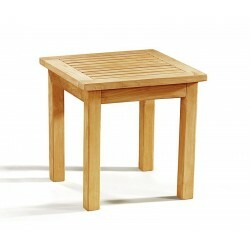 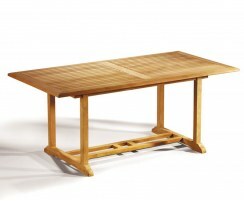 Wonderfully practical, radial slats also ensure quick dry-off of your furniture after a shower. 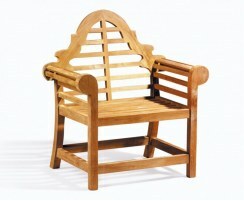 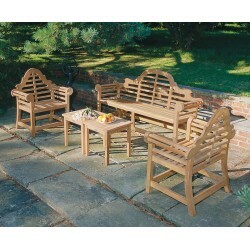 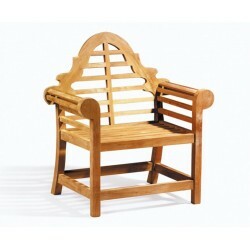 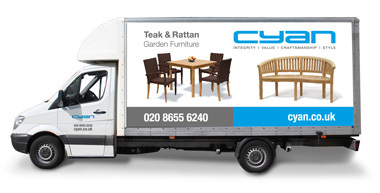 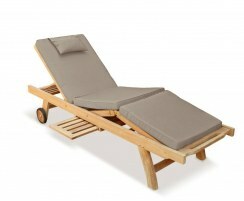 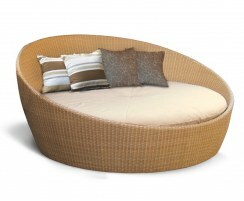 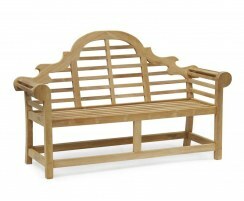 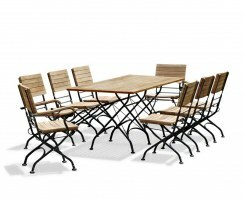 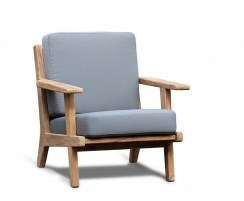 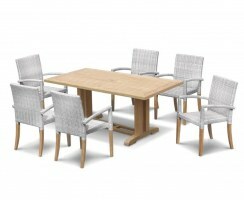 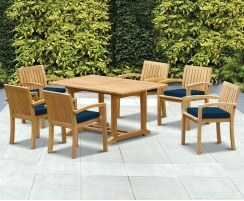 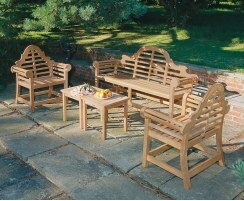 We will deliver this outdoor Lutyens coffee furniture set to you fully assembled for your convenience. 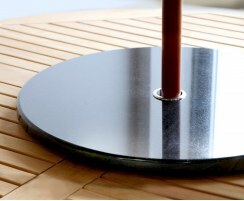 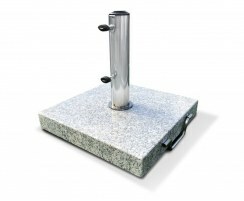 The side tables will require some simple self-assembly – merely attach the legs to the table top. 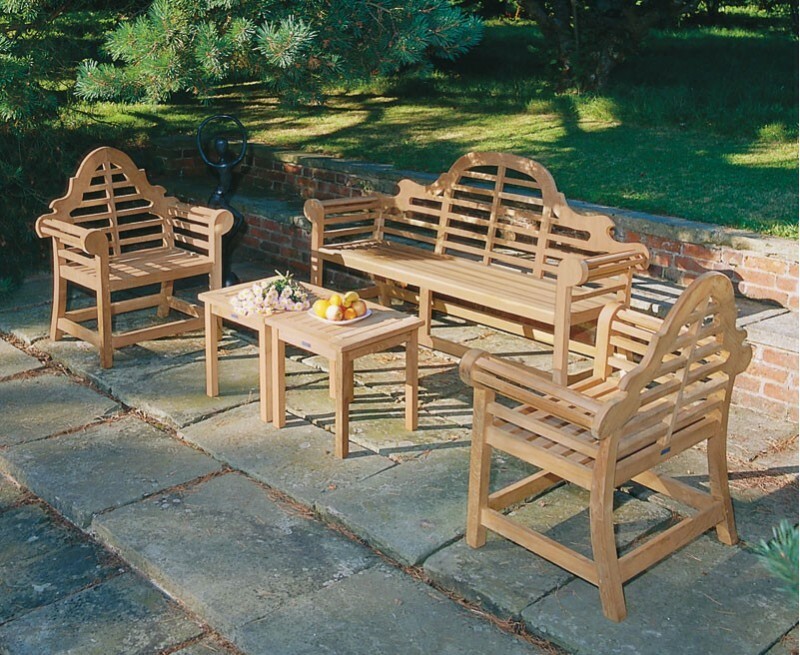 Why not accessorise this coffee set with the addition of colourful, comfortable cushions, and perhaps a cantilever parasol and base (not included, available separately).